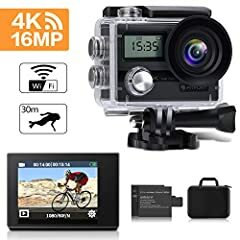 The action camera comes with a waterproof housing, a microUSB charging cable and adapter, an extra battery, an extra housing door, and a variety of clamps, mounts, sticky pads, straps, and other accessories for mounting this camera to just about anything. This review will focus on the camera itself and not the accessories. The camera is a GoPro-type action cam; it has a very similar look, style and function. On the front of the camera, you have the power/mode button and a 16 megapixel 170 degree wide angle lens. On the left hand side is where you’ll load a microSD card up to 64 GB, which is not included, and find the port for charging and a microHDMI output port. The LCD screen on the back has a 2 inch diagonal and is not a touchscreen, but the text is easy to read and the playback is fine (also has an external speaker). On top is the OK/shutter button with the menu selection keys on the right hand side, and on the bottom is the battery bay with removable door. The unit comes pre-installed with a battery which should last about 2 hours of use when fully charged though this will depend on whether or not you use the WiFi or LCD screen, so it’s nice that they include an extra battery. I didn’t like that the WiFi mode didn’t have its own key or at least dual use with another key because it’s buried in one of the Settings menus and is a pain to get to for something you’ll probably use often. There’s also no external mic port. I did try the app in the user manual XDV to view the camera’s feed on my phone’s screen remotely. However, I found that the camera didn’t always connect to the app and responded to the softkey shutter somewhat unreliably. Sometimes it would capture the photo or video, other times it would not which was frustrating when you missed a moment that you were sure you were recording and found that the file was not there afterwards. The camera worked much better using the physical shutter button on top and the buttons through the waterproof case worked well but you do have to press them fairly hard. The video through the waterproof case is surprisingly clear; at 4K resolution the detail was good and the color saturation deep. The recorded sound actually isn’t that bad either, even through the case. There is a bit of a fisheye effect at the edges of the screen, though this is typically of wide angle lenses. When used underwater the housing was air and watertight and did not leak. I also believe there is some anti-shake applied to the video that stabilizes it. When set to slow motion mode at 720 and 60 frames per second, there was some noticeable video compression and sometimes the slow motion recordings had skips and frozen frames. Even at the supposed 4K resolution you can see some compression in the video which makes it appear grainy on large screens. 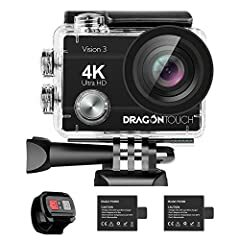 Overall, the durability of this action camera when used in the case is very good, and the audio is decent though the video quality isn’t super sharp or crisp for 4K due to the compression of the video files. 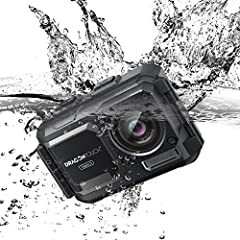 However, it’s a decent budget action camera that can do some cool stuff like go underwater and record in slow motion, somewhat reliably. Just don’t expect to get the same quality as you would get from a $400 GoPro. Hopefully the app gets improved or a third-party app may be able to work better with the camera. I have the same camera but when I tried to do time lapse video it always takes slow-motion video what am I doing wrong? Why does the app not let me take a picture with the camera, why do I have to press it off my phone? I just bought mine and I’m using a 16GB SanDisk SD card. The videos are blurry and they lag. What may be the problem? I tried 720p and 1080p.. When I record a video it won’t let me play it back on my phone or transfer it to my phone.. do you know what the problem is? Hey Phil thanks for the video for some reason the sound on the video my goes out after 11 seconds on mine no matter the video setting 4K, 1080 etc I even reset it to factory and and the sound still goes out after 11 seconds of recording any idea why? can it set tv out for fpv? Is it possible to take photo while making a movie? If yes, how to set the camera? How to connect my iPhone 5s to action camera ultra HD 4k? does this camera offer motion detection or night vision modes? hi…bro can help me..my cam same like this one..why i cant see the video after download…it play but black color and sound only…pls help me..
WHY NOW I CAN’T SAVE MY PICTURE USING THIS APPS TO MY PHONE? DONT HAVE BUTTON SAVE IN THIS XDV APPS. CAN YOU HELP ME? I am having a very difficult time uploading videos and fotos to my iPhone via This app. Nothing seems to be working. Any tips? 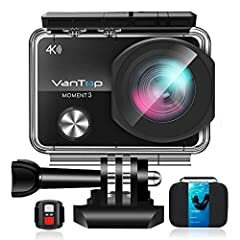 How do I connect the action camera to the app ? When I play back on my phone the screen is frozen yet I can hear the audio playing. The phone app wants access to your cell phone call data. That is terrible, and they have no business asking for it. This app is used for harvesting your call data and as it does it gets your contacts over time. To me it’s a privacy and security issue and the company has to have done it intentionally. I would not install this app on anything. Thanks for the review. Very informative! I just got one here in Canada – so far the 4K doesn’t work very well. Weird time shift backwards about 10 frames when I stop and start it in Premiere Pro CC 2017. Not a memory card problem, but it seems Premiere pro has issues with the import. What software did you use to do the video? Obscura 2 camera app: review + how to get it for FREE! Should I Learn Java or Python?